Click through for all the pics!! My sister took this one of me in my happy place 🙂 SO MANY CHOICES! If I didn’t have a plan, I think I would have wandered around there feeling all the fabrics for hours and buying nothing. I probably would have bought things that I didn’t need or the wrong yardage for a project. Always have a plan before entering this giant store. 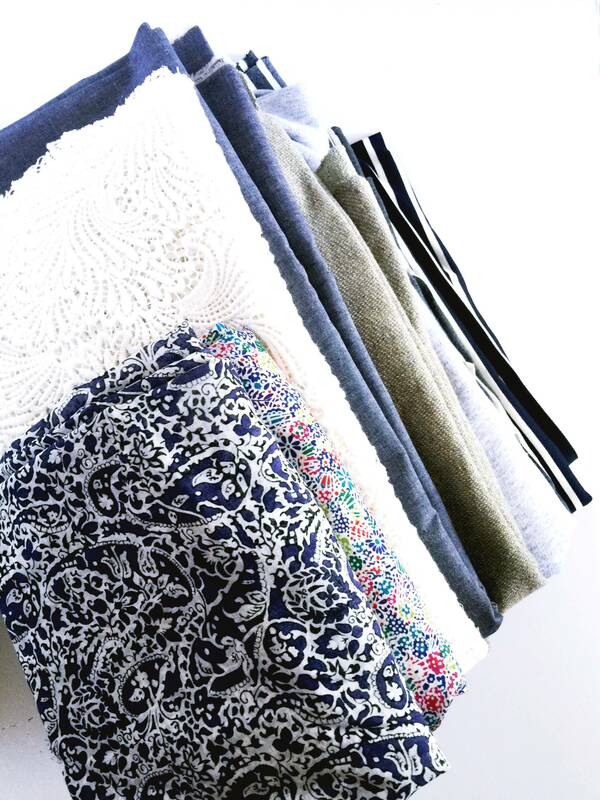 I knew I wanted some Liberty fabrics and some knits. Joann’s just doesn’t have the best quality knits, and I’m nervous about buying knits online without feeling it first. I’m obsessed with this colorful tiny floral. It’s the silk-cotton voile, and I’m going to make a lightweight tank or camisole for the summer! 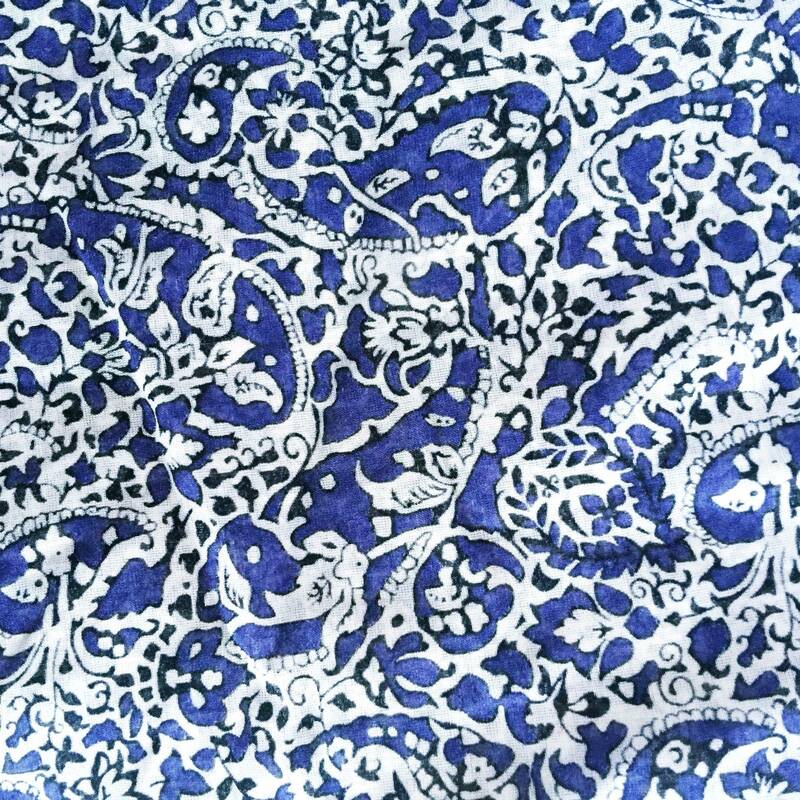 This Liberty Paisley in silk-cotton voile is for my sister’s tank. I’ll need to add a lining because these are so lightweight. 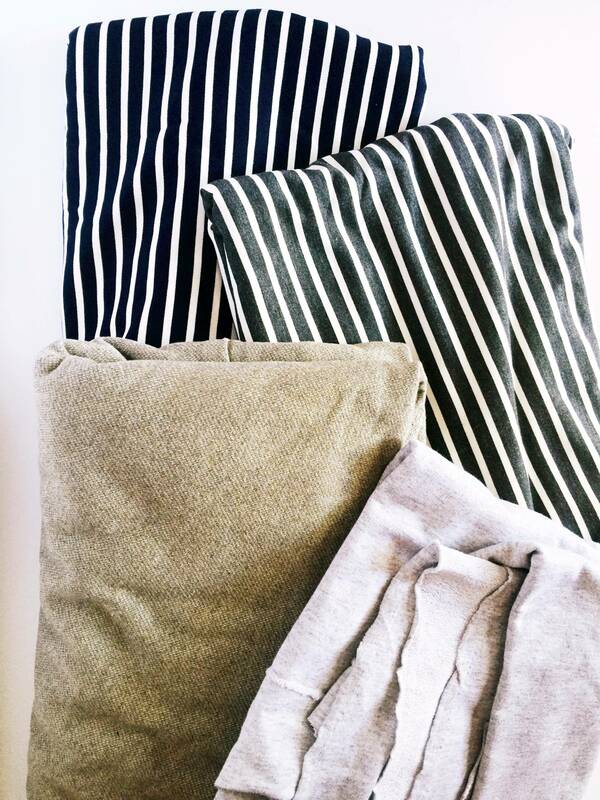 The brown is a shimmer french terry and the other is a light grey french terry for sweatshirts! 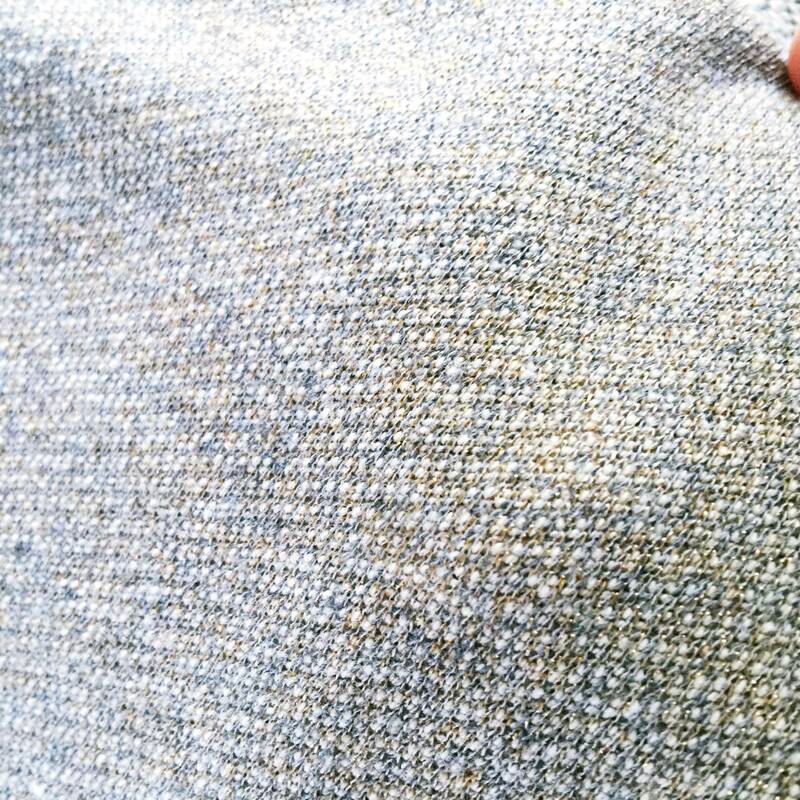 Here’s a close-up of the metallic in the brown-ish french terry. Very excited about this! 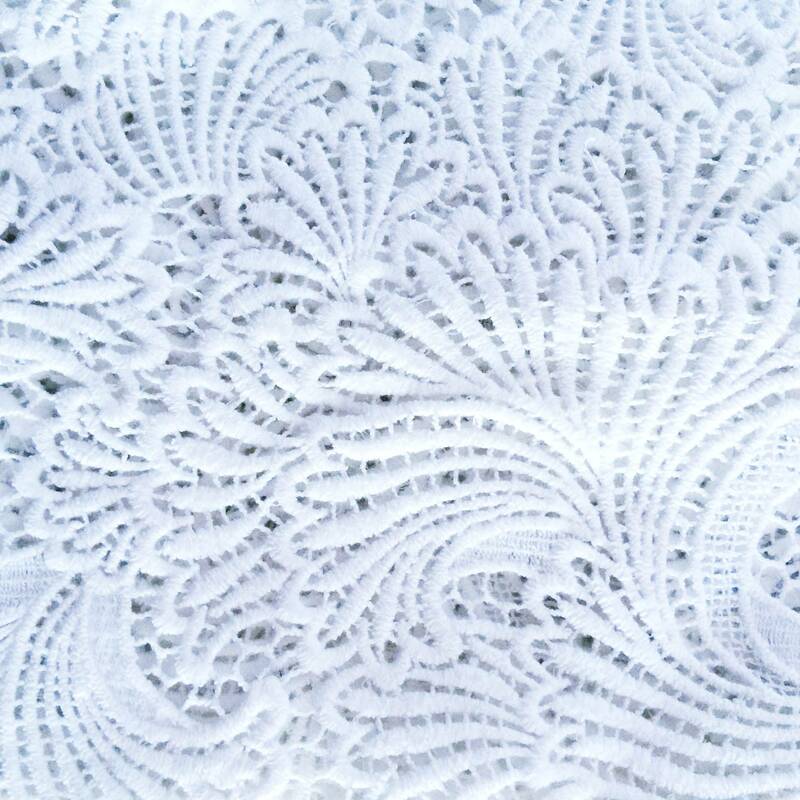 This beautiful lace will be sleeves on a sweatshirt with the light grey French terry, similar to this sweatshirt. I also bought a great shade of chambray for an off-the-shoulder ruffle dress! Making that one first! He mostly sits around and lets people take photos of him. I went with my sister, because I knew I would get overwhelmed by all the choices and she helps me focus! She’s also more confident and asks questions… I hate asking for help. 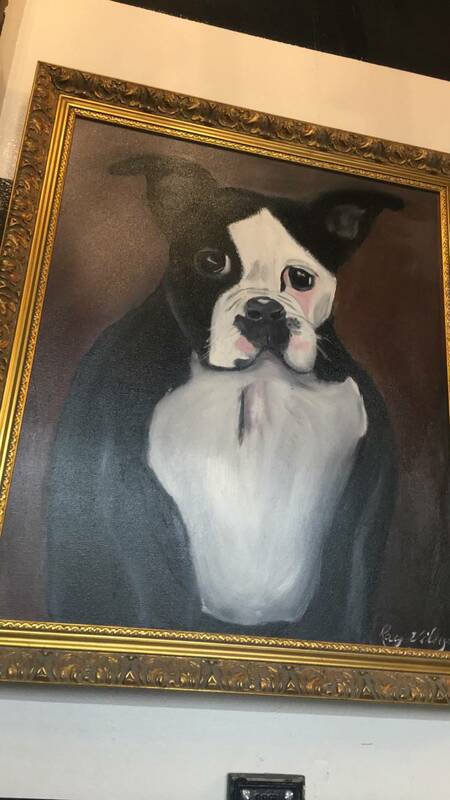 Mood was kind of hard to find at first. We walked past the Mood Home shop first, and then saw a sign saying apparel fabrics were in the next building and you needed to take the elevator. Once we got there, I started by looking for the Liberty fabrics, of course! 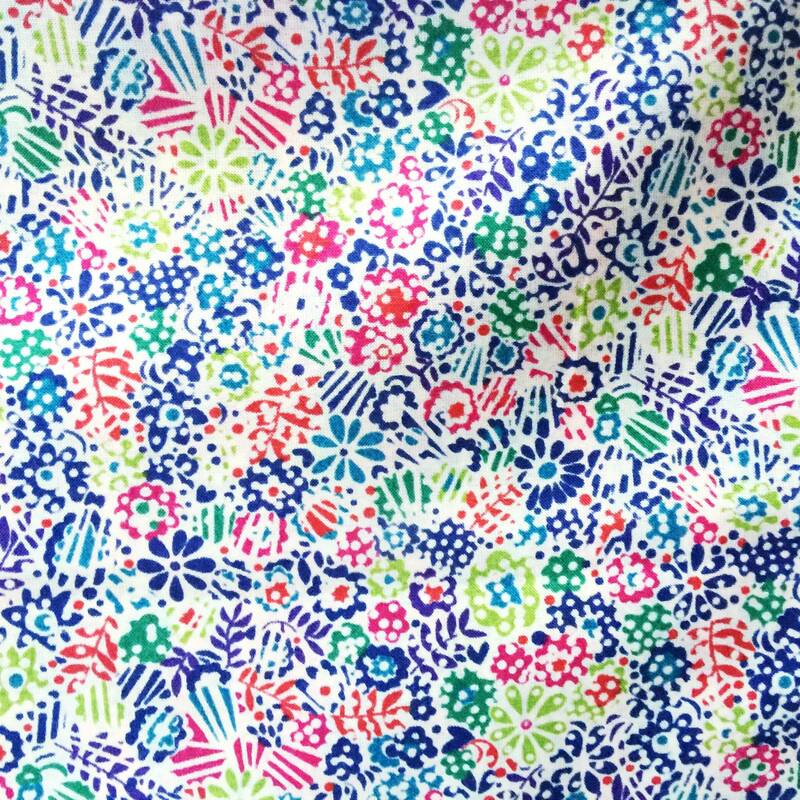 Fortunately, a lot of the Liberty fabrics are available online as well. But I live pretty close, so I can just go and check it out when I have a project coming up. 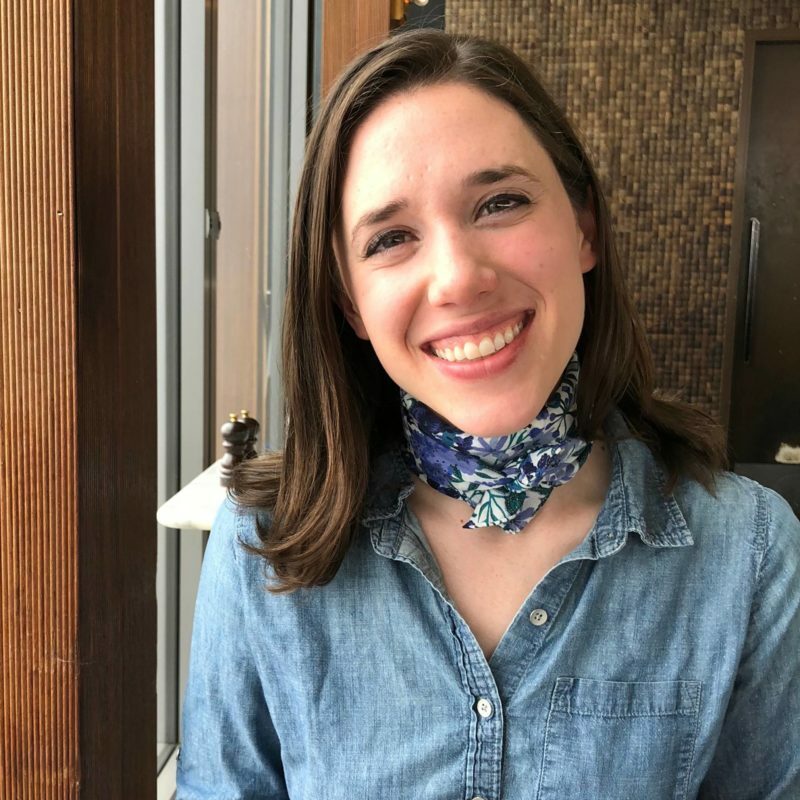 We didn’t stay in the city for too long because we were on Whole30. We really wanted to eat macarons and cupcakes, so it was just not as fun without that. On the way back to the train, we stopped at the H&M home store *all the heart eyes! So much good stuff. 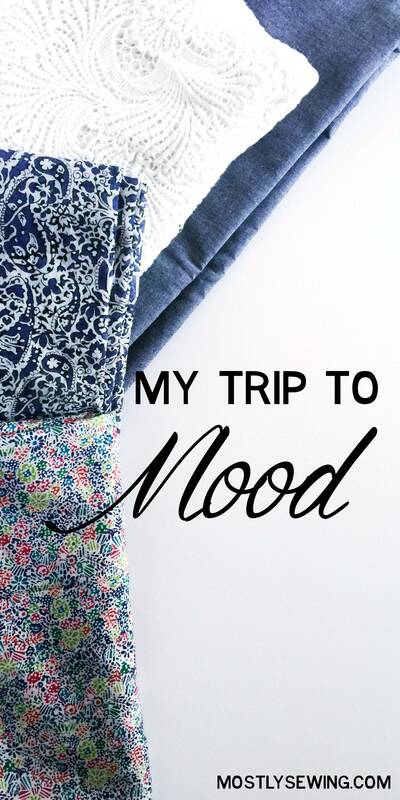 It’s only a few blocks from Mood, and really close to NYPenn, so make sure you include it in your visit! Overall, a really fun trip and I’ll be going back! But not until I finish these projects! I hate Work-in-Progress projects. 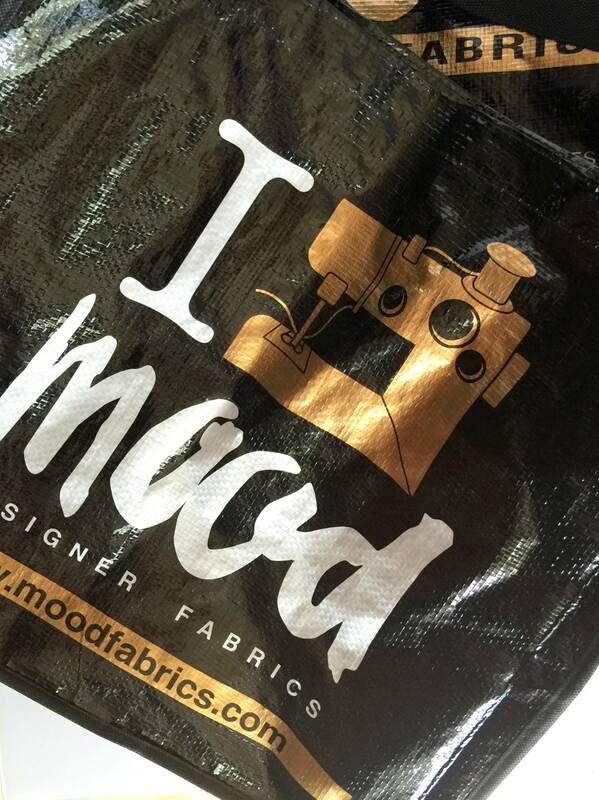 Do you have any advice for shopping at Mood? Other favorite fabric shops? 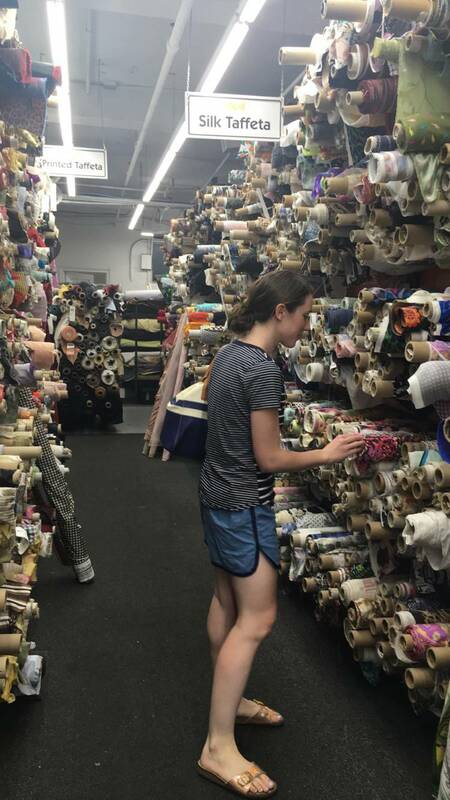 I also like Paron Fabrics: It’s not as overwhelming, and the staff is super helpful. Next Post Finished Shibori Tie Dye Quilt!